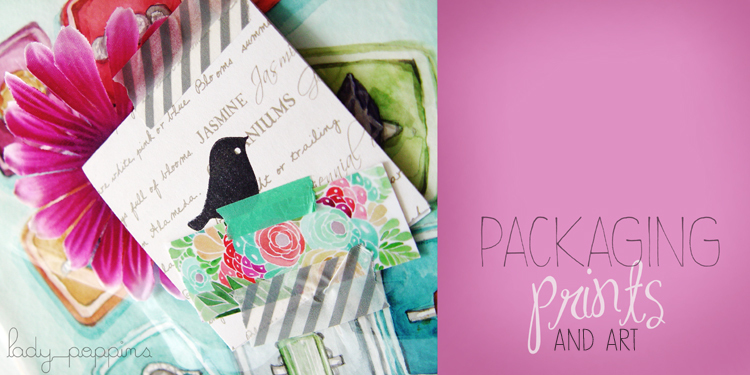 So I have been playing around the last few months and how to package my watercolors and art prints. 1. I place the print or paper into a sealable cello bag. I am so paranoid about the art getting caught in rain and ruining the picture. 2. 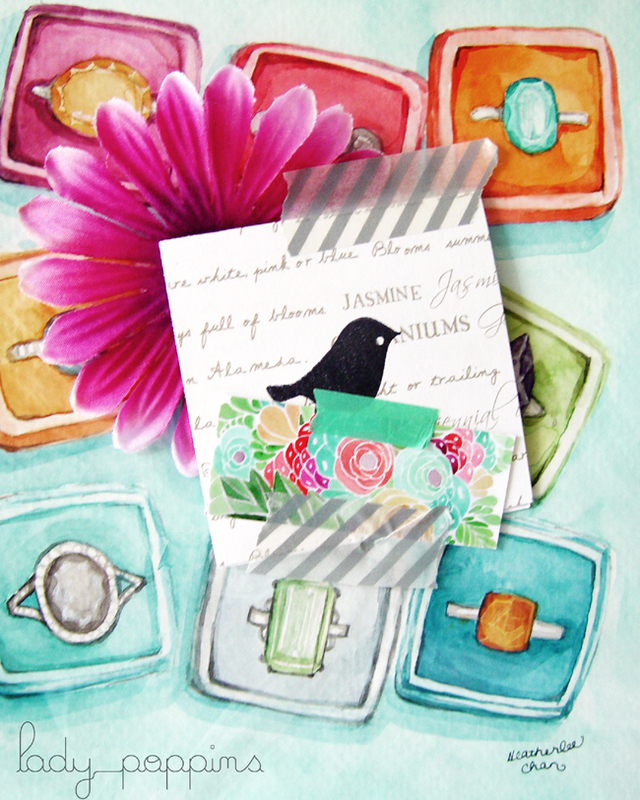 Use washi tape to adhere a flower, thank you note, and my mini moo business card. 3. Insert into the mailing envelope (that I of course had to fancy up with some scrapbook paper and note cards) with a stiff board or cardboard. 4. Ship it off to its new home! This painting is one I just sent off today. It is the girliest collection of rings! I love to paint things that are ultra feminine and this fit the bill. Perhaps I will have to make a print of it the next time I get to ordering. 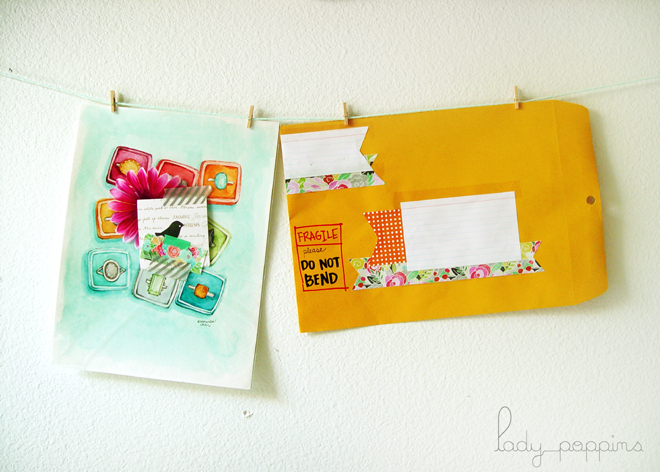 I hope that helped anyone else trying to decide on how to package their art for the mail! p.s. washi tape is the best!